2016 brings with it a host of new traffic laws for NH motorists. New Hampshire has its fair share of traffic-related mishaps. Most of the unfortunate incidents have to do with driving habits and road conditions. For instance, drinking and driving, especially during holidays, have been major causes of accidents. Driver distractions and inattentiveness, particularly in curvy roads and dark areas has also contribute to may accidents and injuries. In 2016, The state has drawn up its own action plans aiming for zero-fatality accidents, total elimination of substance-impaired driving (DWI), enhanced driving discipline, and greater public awareness about safe driving. 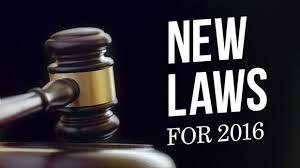 As of the New Year 2016, there have been new laws added to the list. These new laws cover fines or penalties incurred for specific traffic violations, as well as conditions where a New Hampshire driver may be liable for getting cited and penalized. To all drivers in New Hampshire, here is a rundown of some of the new traffic laws as well as existing ones that you should still be aware of. It is generally prohibited to pass a school bus that has stopped but still have children on board. The fine for this offense has been increased to $500. In addition, you get a 30-day suspension of your license even if you were only a first-time offender. Further offenses can set you back as much as $1,200 plus a mandatory date with the judge. Again, this has always been considered a traffic violation. Fees are now $150 compared to the previous $100 for first offenses, and $250 for repeat offenses. The speed limit in the northern part of the state is still at 70 mph and decrease through the narrowest parts of the highway. The fine has been increased at an incremental basis, ranging from $65 for one to five miles over the limit, going up to $400 for 20 mph beyond speed limit. Speeding along a construction work zone can set you back anywhere from $250-500. Be careful whom you ignore! Penalties have been stiff for this type of offense as it is a defiance of authority. First-time offenders will pay $75 at the minimum, while repeat offenders may pay up to $250. In case of a vehicular accident where you are the one at fault, it will not be necessary for the authorities to have to identify the traffic rule you violated in order to slap you with penalties and lawsuits. It used to be that the driving licenses of people arrested for DWI were suspended for at least six months upon first offense. In 2016, a first-time offender will be able to request for a restricted license on the grounds that specific circumstances compel his operation of a motor vehicle. For example, he or she has an occupation that depends on driving, like delivers goods or operating a taxi. For a list of frequently asked questions related to DUI. Click here. Drivers aged above 18 on the road are banned from using handheld devices like cell phones and iPads but may be able to use hands-free devices. Novice drivers aged 18 and younger are also banned from using any type of cell phone while driving either to call or text. And drivers of all ages are not allowed to text at all while driving. While New Hampshire strictly enforces laws against driving under influence of alcohol, the laws are not too clear cut about other substances, particularly marijuana. Possession and use of marijuana is legal in the state but only for medical purposes. Children younger than seven years and lighter than 57 pounds must wear child restraints. All others must wear seat belts while on the road. The state has not enacted either a primary or secondary seat belt law for adults. People under the age of 16 are required to wear helmets. License renewal for drivers older than 65 is still every five years. Those older than 75 must pass a road test.